Download Mac Text SMS Software - Professional to send group text messages. 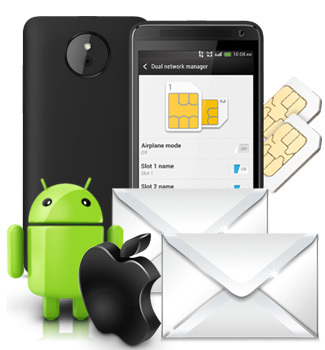 SMS broadcasting program delivers group SMS from Apple Mac OS X via connecting GSM as well as Android technology based mobile phones. Exclusion list wizard option to maintain list of contact or groups, which you may need to exclude time to time while sending messages. Delayed delivery option to control load of broadcasting sms.